Bluebonnets aren’t just the official state flower to Texans. 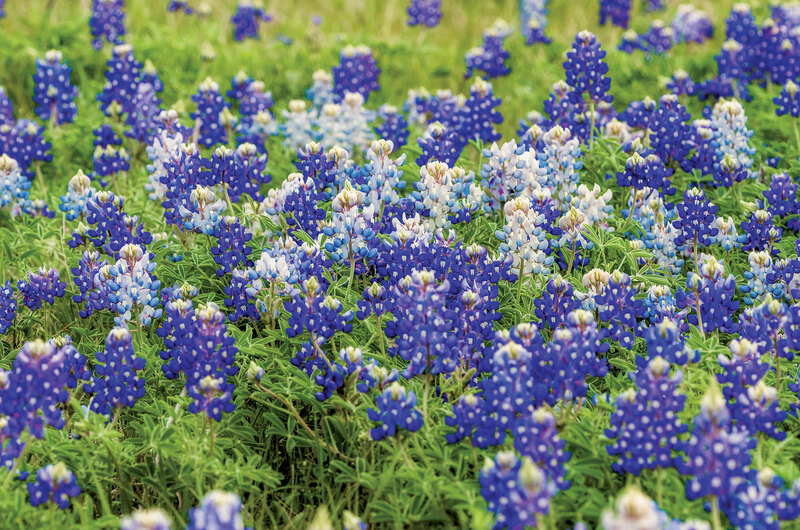 Each spring, folks across the state plan weekend trips along Central Texas roadways to drink in the massive fields of blooms, particularly the beloved bluebonnet. We celebrate these lovely lupines in festivals, family photos (always watch out for snakes) and art. The song Bluebonnets by Texan musicians Julia D. Booth and Lora C. Crockett was adopted as the official state flower song in 1933. 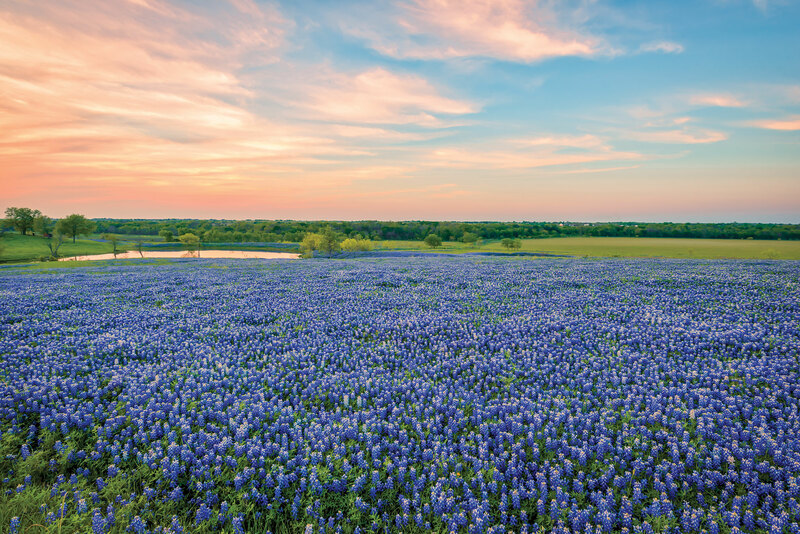 Seems as if every Central Texas town claims it’s “the” place to view bluebonnets, and several state parks boast their own azure fields during the season, generally mid-March through April. Here are a few scenic spots to get you started. Dubbed the official Bluebonnet City of Texas, Ennis boasts 40 miles of bluebonnet driving trails, sponsored by the Ennis Garden Club with frequently updated reports on what’s blooming where. 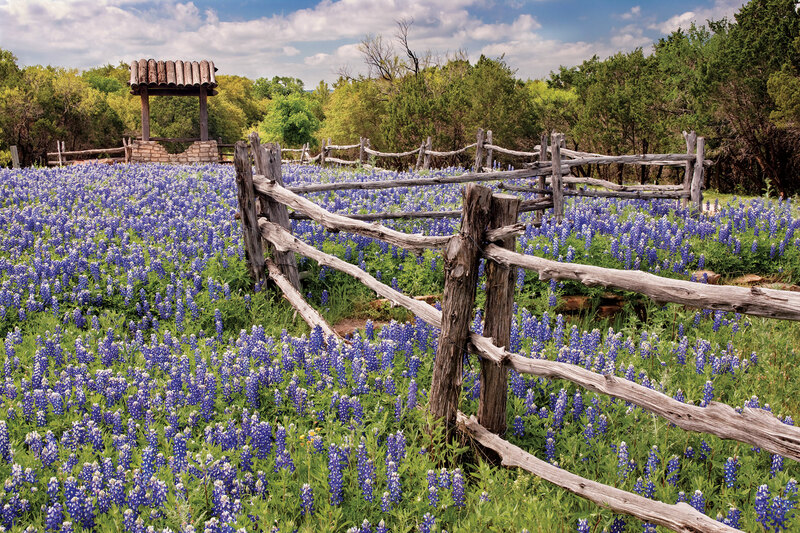 Kick off the season at Ennis’ Bluebonnet Trails Festival (April 12-14). 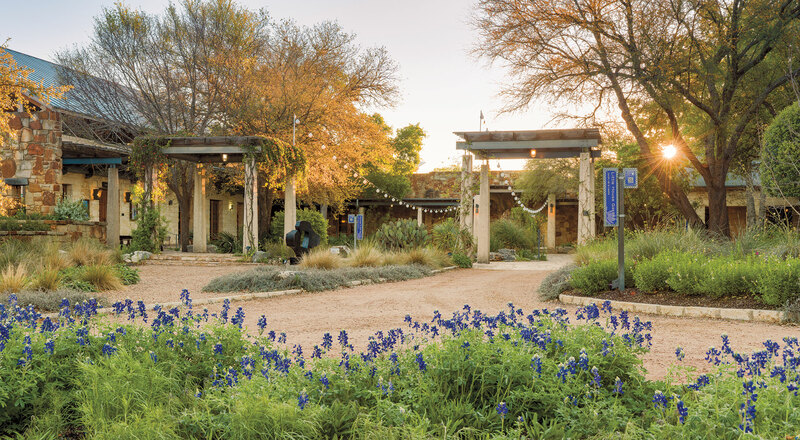 For an educational experience, visit the Lady Bird Johnson Wildflower Center in Austin. Lady Bird Johnson, famously wild for wildflowers, helped pass the Highway Beautification Act, resulting in the beauty we enjoy today. Despite their name, bluebonnets aren’t always blue. At Lockhart State Park, they bloom in varying shades of blue, purple, pink and even white. Dominant blue genes fight hard to change these all to blue, so enjoy their rarity. Bluebonnet opportunities abound in these Highland Lakes communities. Texas Highway 29 from Burnet to Mason offers dazzling wildflower displays; Burnet’s Bluebonnet Festival (April 12-14) features a pet parade, a demolition derby and wiener dog races. “Where the rivers flow and bluebonnets grow” is the town slogan for Kingsland, on Lake LBJ. 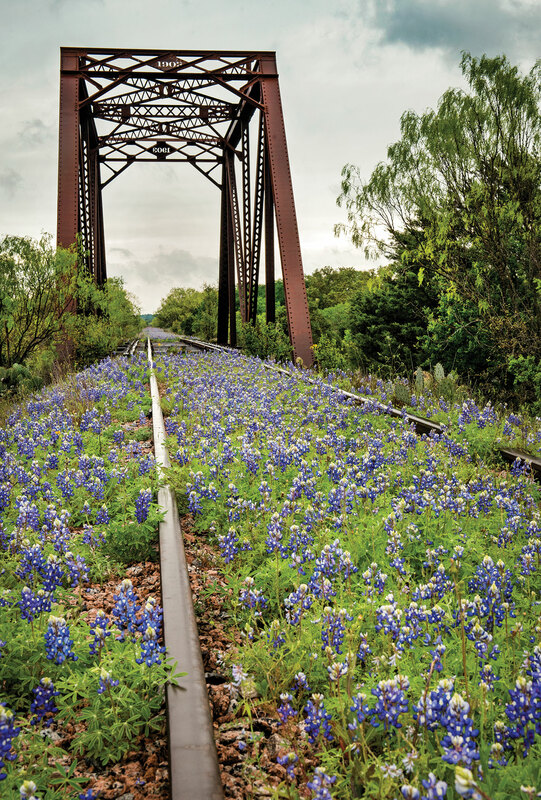 Some of the best bluebonnet backdrops — such as decommissioned railroad tracks and rolling hills — can be found along FM 1431.